Non-communicable diseases remain the health bane especially of the poor and marginalized, killing thousands of lives annually. Sadly, the worst combination in an individual is being poor and uneducated because they don’t have access to prevention and treatment. In 2015, compared to previous years, the number of Filipinos who died before seeing a doctor increased from 45 to 65 percent. In the healthcare sector, there are only five healthcare workers per 10,000 population; while the recommendation is 25 per 10,000. Even if they go to government hospitals like the Philippine General Hospital for confinement or ask financial help from government agencies like the Philippine Charity Sweepstakes Office, any service or assistance provided them is just a stop-gap or ‘band-aid’ solution because they will still face the same dire scenario, the same sickness and poverty even after discharge. Ironically, the Philippine economy has been growing, but perennial socioeconomic ills—poverty and income equality—remain as major challenges. The upward trend in the national economic growth has not yet trickled down to the masses. The translation to better and equitable social outcomes, particularly for health status, remains to be significantly felt. Under the Universal Healthcare (UHC) of former President Benigno Aquino III, he mandated that health will be accessible to all Filipino and they shall receive equitable and affordable benefits. However, some health advocates believe that there are still gaps in every aspect of UHC. The Aquino Health Agenda focused on the insurance coverage and despite the increasing budget and increase in PhilHealth coverage, gaps in healthcare delivery remain; services and the health facilities to provide them are not adequate in many areas of the country. Observers note that the entire health system appears to be still besieged with age-old problems like lack of manpower resources, and a relatively inadequate primary healthcare system geared towards preventive rather than curative programs. On September 15, the Department of Health (DOH) headed by Secretary Paulyn Jean Rosell-Ubial unveiled President Rodrigo R. Duterte’s Health Agenda at the National Health Summit in Pasay City underscoring the theme “Strengthening Partnerships to Achieve All for Health Towards Health for All”. The first goal is for all Filipinos attaining their best health outcomes, living longer to a healthy age with few illnesses and preventing premature deaths from the scourges of stressful daily living and emerging public health threats like drug addiction and Zika. The third and final goal is for all Filipinos to have a satisfactory experience when they access health services, where they feel respected and valued, and finally become in charge of their own health care. The National Health Summit aimed to present key health system tools in order to strengthen local health governance; and secure local and national support for the implementation of the Duterte Health Agenda. “DOH believes that our goals for the health system cannot be achieved without the support of our local partners and stakeholders including the people themselves who should be empowered to chart their own health. This summit aims to forge partnerships as we bring closer to the doorsteps of our countrymen, especially the poorest of households, the quality healthcare that they deserve,” said Sec. Ubial in a statement. In the said summit, Sec. Ubial also articulated the government approach with the health priorities or pronouncements in the 10-Point Economic Agenda of the Duterte Administration, which include strengthening the implementation of the Responsible Parenthood and Reproductive Health Law; and investing in human capital development, including health and education systems. Elicit multi-sector, multi-stakeholder support for health. “At the end of the day, when universal health insurance leads to pro-poor utilization, non-reliance on out-of-pocket payment, and zero health related impoverishment; when promotion, prevention, and comprehensive services in functional service delivery networks lead to better and equitable health outcomes and overwhelming public satisfaction; and when efficient and effective utilization of meager resources enable attainment of our Sustainable Development Goals, then we can safely say that we have ACHIEVED Kalusugan Para sa Lahat through the Duterte Health Agenda!” said Sec. Ubial. “He told me, doctora, you have to take care of the poor. That’s what the government is here for and whatever the resources you need, just tell me because that’s my priority,” shared Sec. Ubial in an exclusive one-on-one interview with H&L magazine. “All for Health towards Health for all” is the new flagship of the DOH to ensure that the marching orders of the President are being taken care of, but it requires all stakeholders and Filipinos to be involved in ensuring health services are available to all Filipinos. “Health is everyone’s concern. Everyone should be involved,” she remarked. “When you say you’re covered by the national health insurance program and you’re poor, there’s really no cash out, no out of the pocket, no balance billing. Whatever your illness is, the government will provide if you need an open heart surgery or kidney transplant,” she explains. One of the basic and immediate health services needed by the poor is the ambulance service, but sadly, they cannot always avail it due to lack of money. “For example, they hired a van, habal-habal, or whatever they ride on, especially in far-flung areas where there’s no ambulance and they need to bring the patient to the hospital. Whatever they choose to ride on, the hospital will pay PhP 500-800, then they charge it to PhilHealth,” said Sec. Ubial. There are some concerns that benefits like this may be abused but the DOH will cross the bridge when they get there. The important thing is to get it implemented, and review any problem in implementation later on so the proper modifications or changes may be made. Compared to the Aquino Health Agenda where it focused more on the insurance coverage, the Duterte Health Agenda will focus on the service delivery networks by identifying what is needed in each level and to provide for the health services at all levels. The health secretary acknowledged though that a lot work still needs to be done and it cannot be completed overnight. “There’s a lot of backlog in terms of development. Many hospitals cannot perform surgeries. So the target for the next six years is for people to get specialized services wherever they are, not necessarily here in Manila, Davao or Cebu. The idea is to bring specialists (i.e. psychiatrist, geneticist, developmental pediatricians, etc.) to remote areas at least once a month,” she said. The Duterte Health Agenda is eyeing all regions to have an advanced tertiary healthcare facility to include a heart, kidney, and lung center capable of transplants and advanced cardiovascular interventions. This will decongest current specialty hospitals in Manila under the Department of Health and encourage specialty practice in the countryside. Sec. Ubial expressed the DOH’s commitment that all sick patients should be seen by a doctor or medical specialist if necessary to prevent worsening of their medical condition. “We will build their capacity so we can take care of patients at their level,” she said, referring to the development of healthcare facilities in the provinces. In the United States, Canada, or Switzerland, if someone suffers from a heart attack in rural areas, he has a chance to live because of adequate health facilities, human resources, and supplies. They are insured; and they have available doctors and nurses, good machines and infrastructures which every citizen could avail of. Under President Duterte’s specific instructions, Sec. Ubial was sent to Cuba recently to observe and study the “famously efficient” and “cost-effective” Cuban healthcare system. The health secretary reported some of the major achievements and best healthcare practices in Cuba, which include: efficient and effective primary and preventive healthcare deliveries due to the political will of the government; low-cost of medicines; good quality of maternal and child care; and the noteworthy ratio of healthcare professionals in relation to the population. According to Sec. Ubial, President Duterte wants the healthcare system under his administration to be accessible to all Filipinos. His objective is to make the health care system one of the major pillars and anchors of his administration as we all strive for development and progress. “The Cuban health system has been praised and cited extensively as one of the best examples of an efficient and cost-effective health care delivery system which is accessible to all, regardless of economic status,” she said in a statement. Notwithstanding the financial and other limitations of the Cuban healthcare system, it is acknowledged for its capability to cater to the healthcare needs of the Cuban people. It has been noted that the Cuban healthcare system is comparable if not better than most developed countries in terms of healthcare delivery. Sec. 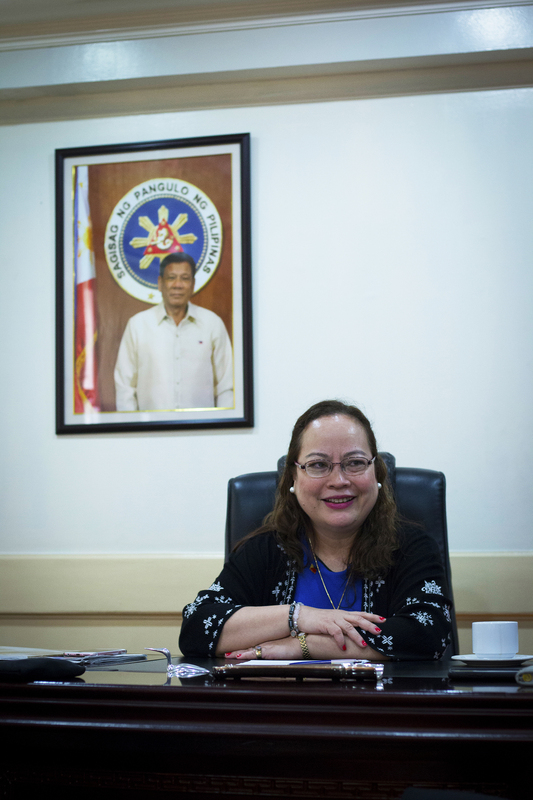 Ubial added that the President told her to implement in the Philippines policies and practices that we can use from the Cuban healthcare experience. While there are considered four-star hospitals here in the Philippines, there are still hospitals that need continuous development and upgrading especially in their systems and the DOH is keeping track of those through its scorecards to ensure that these hospitals reach for a higher level of quality and continuous quality development. During her official visit, which was facilitated by the World Health Organization, Secretary Ubial interacted and met with Cuban health authorities and visited several healthcare facilities and training institutions. Without having to reinvent the wheel, it is hoped that these best healthcare practices in Cuba could also be duplicated here. With the strong political will President Duterte is noted for plus the do-or-die determination of the DOH, getting closer to if not attaining completely our health-for-all vision may be considered good as done in the next six years.